Find My Workspace lists over 95% of the serviced offices market in XuHui. Simply click Request Quote to check pricing for one office, or Add to Basket for multiple offices. The most cost-effective solution for your business in Shanghai! 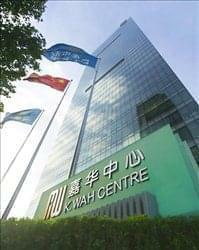 This centre has two locations in Shanghai’s most prosperous financial and commercial areas, Pudong Lu Jia Zui and Puxi Xu Jia Hui. 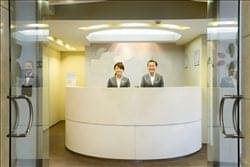 Professional staff and great facilities will ensure you experience the best working environment during your stay. This centre offers 72 offices varying in size from 1 to 50 persons with three meeting rooms (4–8 persons) and 1 boardroom (14 persons). There is a full range of excellent facilities available including a 50-seat seminar/training room, shower facilities, on-site cafeteria and two breakout areas. This office space in the heart of vibrant Xujiahui CBD, on the 48th floor of a 50-storey international grade A office tower. This historic area of commerce and culture, is also a bustling shopping precinct in Shanghai. Compromising twin office towers, this modern commercial complex is also home to brand shopping malls and service apartments. Global 500 corporations such as Microsoft and WABCO have made this their home. This business centre is on the seventh floor of this modern premium Grade A office tower. This centre attracts international and domestic companies such as Apple, Adidas, Cargill and King & Wood Law firm, etc. The shopping mall features top global retailers, an IMAX cinema, outdoor dining, an upscale supermarket and diversified entertainment to offer a unique shopping experience in the city. Two deluxe residential towers are next to the greenery of Xiang Yang Park, and a massive green belt is planned between Nan Chang road and South Xiang Yang roads. There will also be green space at entrances and on the roof to add life to the development and provide attractive public space for the city. 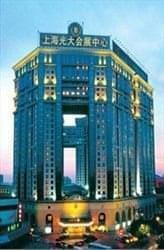 Located in the heart of the bustling Xujiahui CBD, this is a prestigious modern complex consisting of three Grade A office towers. These comfortable and efficient serviced offices are located on the 12th floor of tower A. 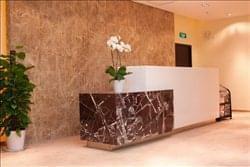 Within close proximity are 5-star hotels, shopping malls and other supporting amenities. Dynamic community of freelancer, designers, programmers, startup and entrepreneurs. Weekly events, lost of amenities. High end workstation with custom designed for maximum productivity. One of the fastest internet connection’s in Shanghai and very reliable. All service included: bring your mobile and your laptop, this centre will take care of the rest. This centre is in one of the most impressive Grade A office buildings in the heart of Xu Jia Hui. The centre is located on the 26th floor of this modern high rise building with offices enjoying stunning panoramic views of Shanghai with floor to ceiling windows. The surrounding area offers a variety of retail outlets, restaurants and entertainment facilities. The business centre is within 10 mins walking from Metro and there are numerous buses routes also pass close to the building. 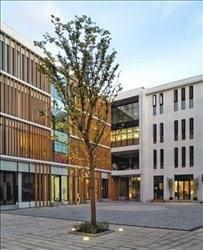 This centre provides fully furnished offices in a brand-new seven-storey building. This centre offers a comprehensive range of amenities to help your business run smoothly. 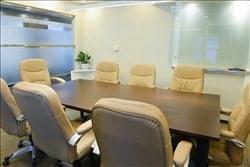 This 45-storey, premium business centre offers fully furnished serviced offices in various sizes to accommodate 1 to 80 persons, equipped with advanced IT infrastructure and facilities, state-of-the-art meeting and conference facilities, corporate breakout areas, and comprehensive business and administrative services. With a modern architectural design, an advanced security management system and the full spectrum of amenities including dining, gym, indoor swimming pool and tennis court, this office building has attracted a number of Fortune 500 corporations as tenants. Located in the trendiest neighbourhood in Shanghai, the French Concession, this center is a creative, artsy business center situated on multiple floors of a premium low-rise office building. The center is equipped with a beautiful outdoor terrace, advanced IT systems, conveniently accessible meeting rooms, rich common areas and lounges, and an attractive reception area serving all floors. The building is surrounded by upscale restaurants, boutiques, and other commercial buildings housing creative and consulting businesses. This center is fitted out with 24 offices ranging from 3 to 15 workstations and has over 1,500 sq m of gross floor area in a Grade A low-rise office building, with nearby shopping malls and a wide variety of restaurants, 5-star hotels, and transportation hubs. To obtain information for your selected XuHui Serviced Offices, please tick the "Add to basket" box for each office you prefer and complete the form below. We will then send a detailed report via email.